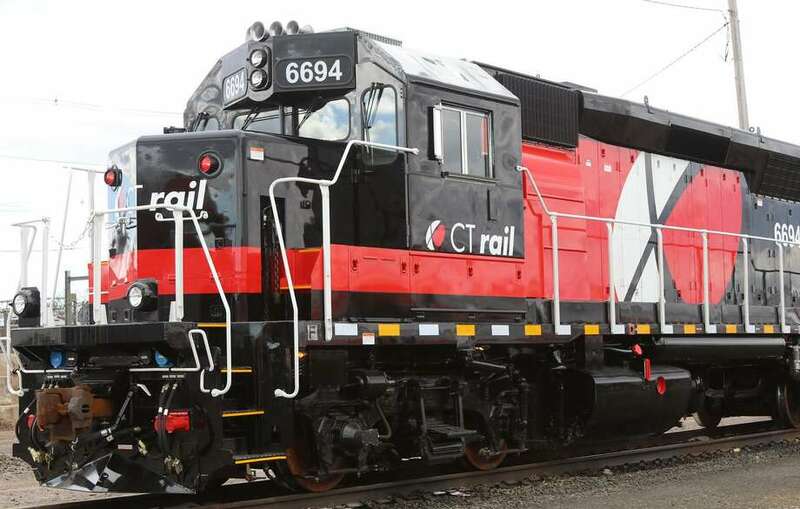 The Hartford Line, a new commuter rail line from New Haven to Springfield, Mass., will used refurbished cars from MBTA in Massachusetts. There’s finally some good news on transportation: A new commuter rail line — The Hartford Line — is set to open soon. Decades in the dreaming and years in the planning, the state-owned commuter line will run 17 trains each weekday between New Haven and Hartford, stopping at State Street in New Haven, Wallingford, Meriden, Berlin and Union Station in downtown Hartford. Twelve trains on weekdays will continue north, stopping at Windsor and Windsor Locks before ending in Springfield, Mass. Parking will be free — at least until the fall — at Berlin, Wallingford and Meriden. When service expands, there will be a train every 30 minutes in peak hours and every 60 minutes off-peak. In parts of the 62-mile run, the trains will hit speeds of 110 mph, compared to the 79-mph max that Amtrak reaches. Some of the runs will use Amtrak equipment, but all trains will honor new, lower Connecticut rail fares. While Amtrak charges as much as $47 one way from New Haven to Springfield, all trains on The Hartford Line will sell tickets for just $12.75 for the same trip. New Haven to Hartford will be just $8. There will be the usual discounts for seniors, 10-trip and monthly commuters. Those fares, coupled with free parking and a massive marketing campaign, should lure road-weary commuters off Interstate-91 and onto the rails. At least that’s the hope, and there’s a lot of money riding on this plan. Connecticut got lucky in 2011 when Florida Gov. Rick Scott turned down federal money for mass transit in his state and we quickly grabbed the funding. Millions were spent double-tracking the line and building beautiful new stations, which are hoped to be the catalyst for transit-oriented development nearby. Also new is the railroad’s operating agency. The state Department of Transportation bypassed Amtrak, which operates Shore Line East and still owns the tracks for The Hartford Line, and went with TransItAmerica Services and Alternate Concepts, a joint venture that won the five-year, $45 million operations contract. Insiders say they’ve got a waiting list of job applicants for conductors and engineers, most of them Amtrak and Metro-North veterans fed-up with their experiences with those companies. The new operators promise great customer service. Compared to Amtrak and Metro-North, there’s nowhere to go but up. One big disappointment is that the train service will start, not with shiny new rail cars, but hand-me-downs from MBTA in Massachusetts. The original plan was that Metro-North’s electric-powered M8 cars would be running on Shore Line East by now, freeing up that line’s diesel push-pulled equipment to run on The Hartford Line. But that hasn’t happened, so the state DOT went scrambling looking for rail cars, which are in short supply nationally. What they got were 16 cars, each 30 years old, which have been rehabilitated and “deep cleaned” inside and out and given the Federal Railroad Association’s stamp of approval to run. They’ll be fine for now and eventually The Hartford Line will get its own new railcars. Start date should be late May, but I’d prefer they wait until everything is perfect rather than rush to open on time and disappoint riders in any way.